"I covered my shyness with being mean to people I felt I could bully. I feel bad now ... sorry Rodney." "Smoked + Camped in forest clearing, got spooked by police heli." "I was waaaaay too promiscuous & nobody stopped me." 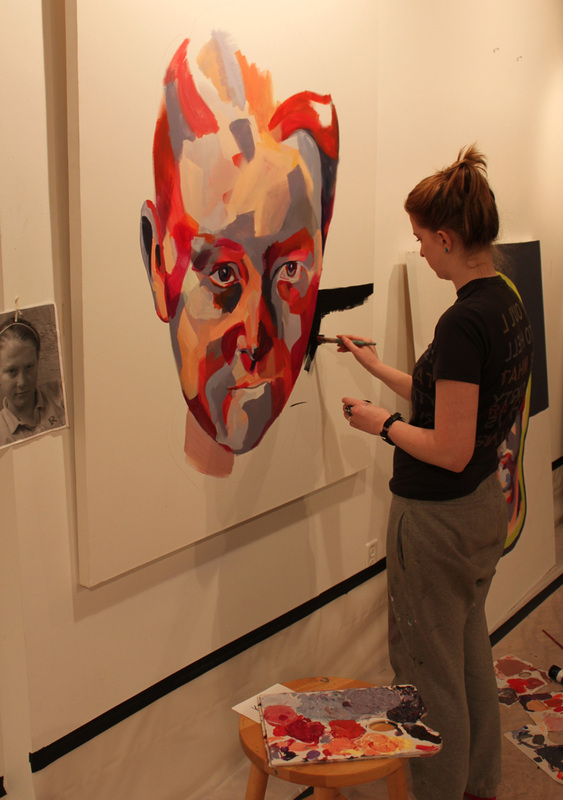 "Angry and lonely ... still am"
Amy Hughes Braden has set up studio in Artisphere's Works-in-Progress. She's working on portraits of tweens. You can participate in this art by talking with her and sharing experience on the Works-in-Progress Gallery's huge blackboard. Braden's paintings will be in an upcoming 2013 Artisphere show.